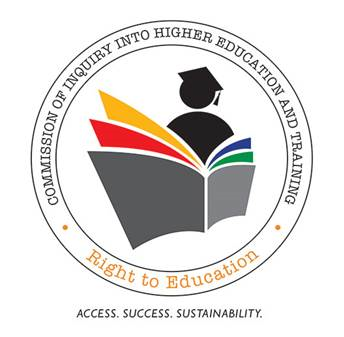 The Commission of Inquiry into Higher Education and Training strongly condemns the consistent disruption of its work that we unfortunately witnessed in East London and Cape Town respectively, Musa Ndwandwe - Spokesperson of the Commission of Inquiry into Higher Education and Training. "The spectacle that we witnessed in the past week and this week was done in an extremely disrespectful manner directed towards the members of the Commission as well as the stakeholders who were invited to participate in Set 1 of the public hearings. "We further condemn the racist rants that were directed to the Commission’s Chairperson, Judge Jonathan Heher as well as intimidation of the Vice Chancellors of University of Fort Hare and University of Cape Town, Dr Mvuyo Tom and Dr Max Price particularly," said Ndwandwe. Ndwandwe said that the Commission has consulted extensively to ensure that the views of all the sectors of the society are reflected during the deliberations. This was reflected during the public hearings where student representatives, student movements, universities, TVET colleges, unions and various individuals formed part of Set 1 of the hearings. "We are of the view that the group responsible for the disruptions does not represent the majority of the student community. These disruptors demonstrated their intentions from the onset that they were not willing to participate and present before the Commission in line with its terms of reference," said Ndwandwe. Ndwandwe said that the groupings that embarked in this disruption spree are those who are unhappy about their suspensions from their respective institutions of learning and they decide to use the platform of the public hearings to vent their anger. "They demanded that the Commission to enforce universities to uplift their suspensions, failure to do so, they won’t let the Commission to sit. The Commission is neither mandated, nor does it have authority to intervene in any disciplinary matter between students and management of universities," said Ndwandwe. He said that students, however, remain key stake holders of the process and the Commission will continue to engage them on matters relevant to the inquiry. He announced that with the turn of events, East London and Cape Town leg of the public hearings, the Commission has decided to cancel the scheduled hearings in Bloemfontein and Kimberly. This is to further review the way in which public hearings are conducted, focusing particularly on protecting both the lives and property of stakeholders, members and staff. "The Commission has made great strides in execution of its mandate which is to inquire into the feasibility of fee free higher education and training and its funding. We will soon be making announcement on the implementation of Set 2 of the hearings," Ndwandwe said. The Commission is expected to submit its preliminary report in November 2016 and a full report in June 2017.